Update: Attorney Giovanni DiStefano and Charles Manson have severed ties. Their attorney/client relationship has concluded. "I do NOT represent Manson that was like two years ago. I filed applications for him but he has new people glad to say". 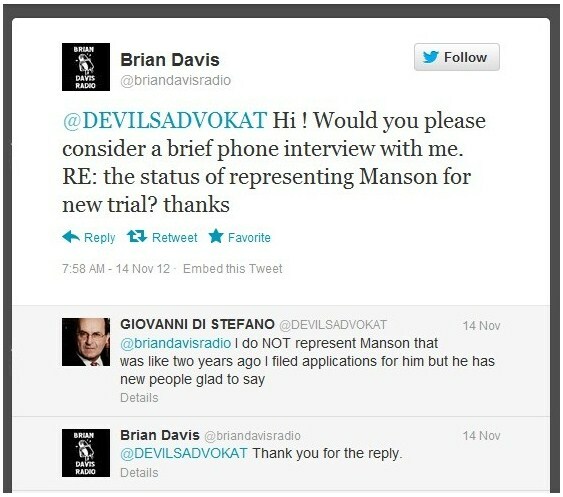 Giovanni uses all capitals for "NOT"... and then continues by stating, "glad to say, Manson has new people". He does sound rather disgruntled. LOL. LMFAO his selfie pics!! That literally made my day, I was dying! Wonder if he has an instagram hahaha. And yes, I see that hint of relief in his tone as well! 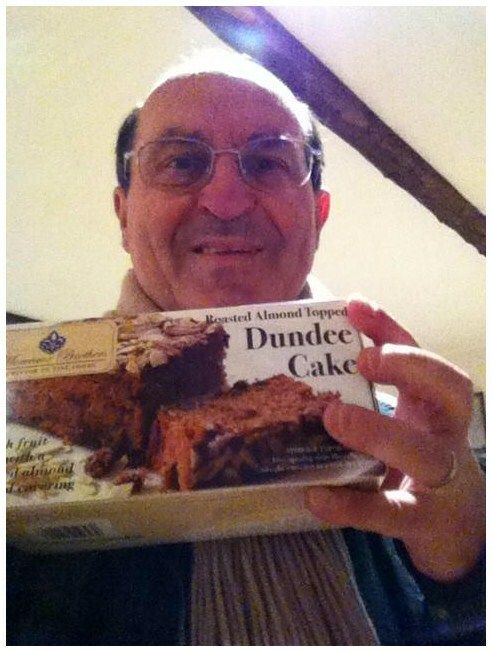 Mr. Di Stefano, Thank you for the clarification. It's easy for anyone to misunderstand or misinterpret someone else's tone or meaning in text, so thank you for taking the time for the comment. Thank you Mr. Di Sefano!!!! A person who, by threat, menace, command or coercion, compels another to commit any crime is guilty of that crime. The formation and existence of a conspiracy may be inferred from all circumstances tending to show the common intent and may be proved in the same way as any other fact may be proved, either by direct testimony of the fact or by circumstantial evidence, or both by direct and circumstantial evidence. It is not necessary to show a meeting of the alleged conspirators or the making of an express or formal agreement. Evidence that a person was in the company of or associated with one or more other persons alleged or proved to have been members of a conspiracy is not, of itself, sufficient to prove that a person was a member of the alleged conspiracy. In order to find a defendant guilty of conspiracy, in addition to proof of the unlawful agreement and specific intent, there must be proof of the commission of at least one of the acts alleged in the indictment to be an overt act and that the act found to be committed was an overt act. It is not necessary to the guilt of any particular defendant that he personally committed an over act, if he was one of the conspirators when the overt act was committed. The term "overt act" means any step taken or act committed by one or more of the conspirators which goes beyond mere planning or agreement to commit a crime and which step or act is done in furtherance of the accomplishment of the object of the conspiracy. To be an "overt act", the step taken or act committed need not, in and of itself, constitute the crime or even an attempt to commit the crime which is the ultimate object of the conspiracy. Nor is it required that the step or act, in and of itself, be a crime or an unlawful act. The conspiracy in which appellants were engaged was broader than the substantive crime of murder. 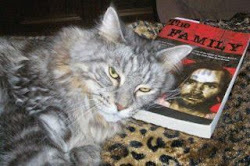 Circumstantial evidence proves the overriding purpose of appellants and their coindictees--the fomentation of the race war Manson characterized as Helter-Skelter. Boundaries of a conspiracy are not limited by the substantive crimes committed in furtherance of the agreement. On the night after the five Tate murders, Manson told Van Houten and other members of the family that last night was too messy and he was going to show them how to do it. i.e., that goes beyond the ramblings of a madman on race war into actual planning and participation. And unless he was head honcho, why would he be chiming in with "too messy"? And so, like the "good" commander that he was, after the one operation was too messy, he decided to lead from the front, with his troops following. Those are the inferences here. If the jury believed Manson to be a conspirator, aider or abettor he was culpable for all of the homicides regardless of who held the knife. And you can add to that, a coward as well, since he had someone else do what he couldn't. In the Hinman case, the corpus delicti was established by direct evidence. Hinman clearly was murdered by someone. The totality of the evidence demonstrates that Hinman was killed in the course of a robbery. All of the participants in the robbery are therefore guilty of murder in the first degree (Pen. Code, § 189), even though only one struck the fatal blow. (People v. Sirignano (1974) 42 Cal. App. 3d 794 [117 Cal.Rptr. 131].) In People v. Ulsh (1962) 211 [71 Cal. App. 3d 25] Cal. App. 2d 258 [27 Cal.Rptr. 408], the court said (p. 266): "Furthermore, it is well established that if a homicide is committed by one of several confederates while engaged in perpetrating the crime of robbery in furtherance of a common purpose, the person or persons engaged with him in the perpetration of the robbery but who did not actually do the killing, are as accountable to the law as though their own hands had intentionally fired the fatal shot or given the fatal blow, and such killing is murder in the first degree. Manson was clearly an aider and abettor, if not the primary instigator, of the robbery. By his own admissions he struck Hinman with a sword in aid of the robbery. The fact that Beausoleil was the person who struck the fatal blow does not relieve Manson of responsibility for the murder of Hinman. The evidence of Manson's guilt for the Hinman murder was more than substantial beyond a reasonable doubt. So, he's not an attorney, counselor and/or solictor, and the already convicted fraudster will be on trial the upcoming year for fraud, once again. Presumably, all the wingnut managed to do with his letter to Obama is to get his name on that one list concerning folks not eligible for travel into the US. You now how we know that's he not a lawyer in Italy? 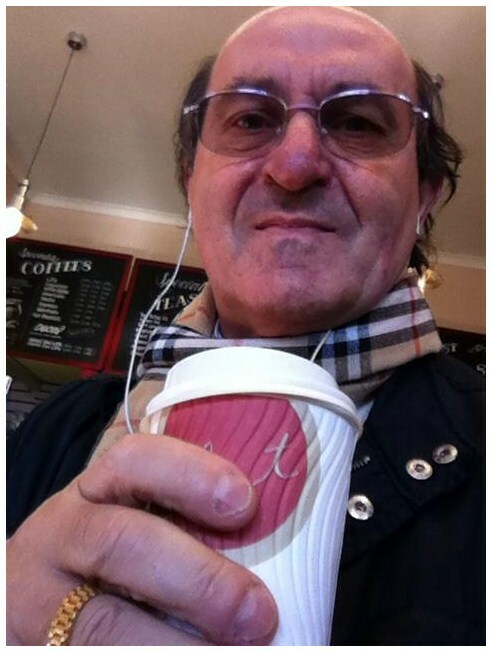 It would take all of 5 minutes to write the necessary letter to the responsible Italian authority asking them to kindly confirm that he is a licensed attorney, with direction to provide that confirmation to the Brit's Law Society. That he's done and said everything but that tells us all that we need to know. "On further review, let me relate that I don't believe for a moment that either Di Stefano or Bruce Davis posted here. Can't see why Bruce would do so, if he even can (he's still in prison)(likely not his twitter account either, since inmates usually don't have twitter)." 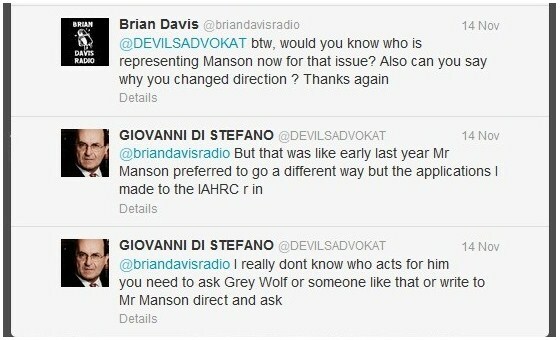 I think you misread the twitter conversation, it was between "Brian" Davis and Mr. Di Stefano, not Bruce Davis. Right on Kimchi. Thanks for pointing that out! I won't comment on this for a while. I just wanted to support Kimchi. That's right Starship. HA HA. He always has been in charge of certain people and always will be.